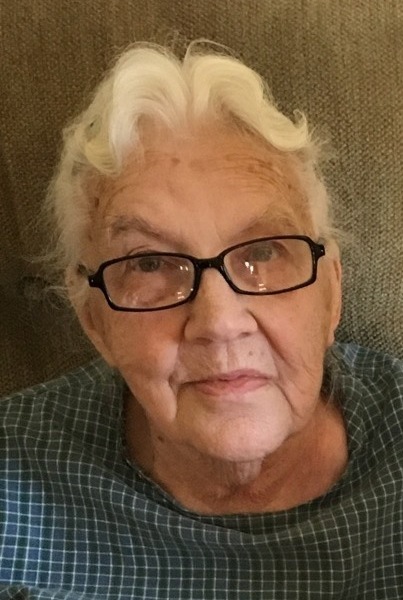 Doris M. Babcock, 84, of Paoli, Indiana passed away Wednesday, April 3, 2019 at Meadow View Nursing Health and Rehabilitation Facility in Salem Indiana. She was born on October 16, 1934 in English, Indiana to Chester Laverne Marshall and Margaret Naomi Merry. She married William Babcock on January 5, 1952. She was preceded in death by her parents, one brother Dale Marshall, two sisters Ruth Stout, Hazel Kesterson, one granddaughter Stephanie Babcock and one great-granddaughter Bailey Carty. She was a wife, mother and a homemaker. She attended the Little Mission Church, and the Millersburg General Baptist Church. She enjoyed crocheting and reading, crafting and she loved spending time with her family. Also surviving Doris M. Babcock are fifteen grandchildren and seventeen great-grandchildren. Funeral Services will be 2:00 P.M. Saturday April 6, 2019 at the Millersburg General Baptist Church with Pastor Otis Crowder officiating. Interment will follow in the Stampers Creek Cemetery. Visitation to be held Saturday April 6, 2019 from 9:00 A.M. to 2:00 P.M. at the Millersburg General Baptist Church, Millersburg, Indiana.